This week we are chatting to Anne Passchier! 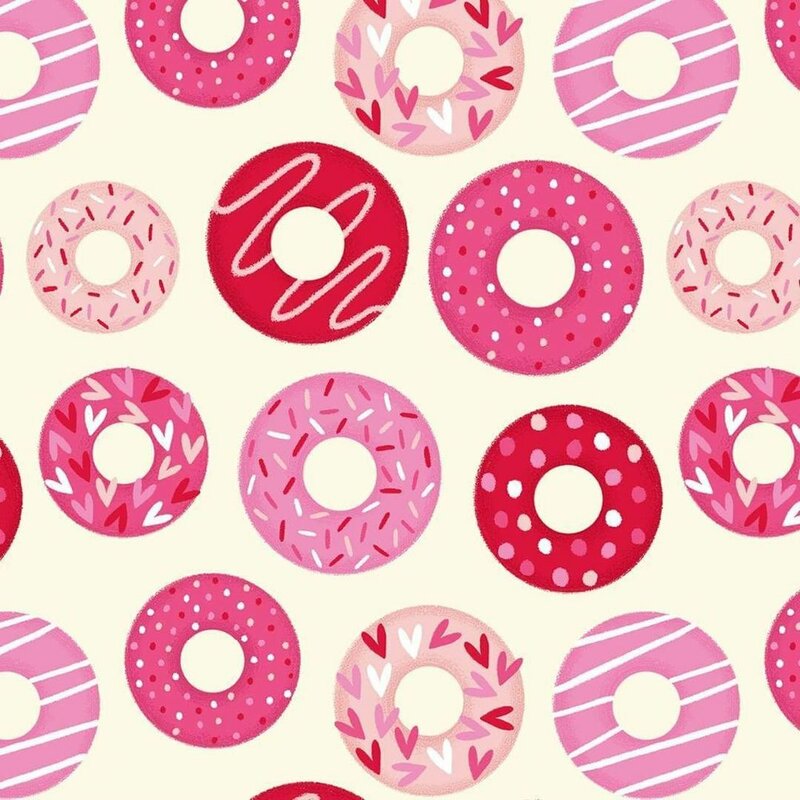 Anne is a talented surface and pattern designer based in Ohio in the USA. 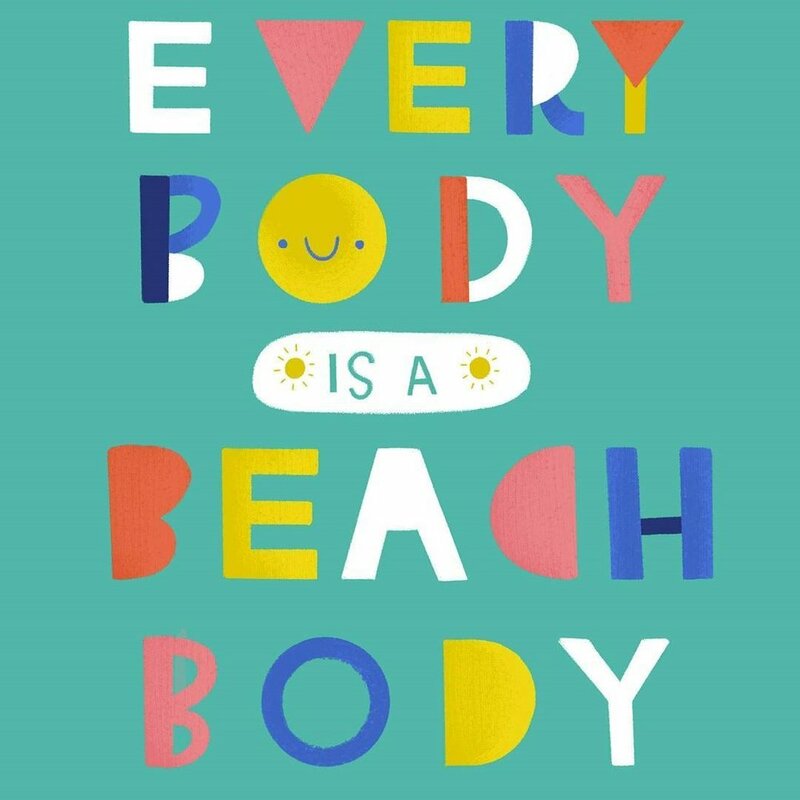 Creating LGBTQ children’s books and all things bright and colourful, we sit down with Anne and discuss their life as a creative. 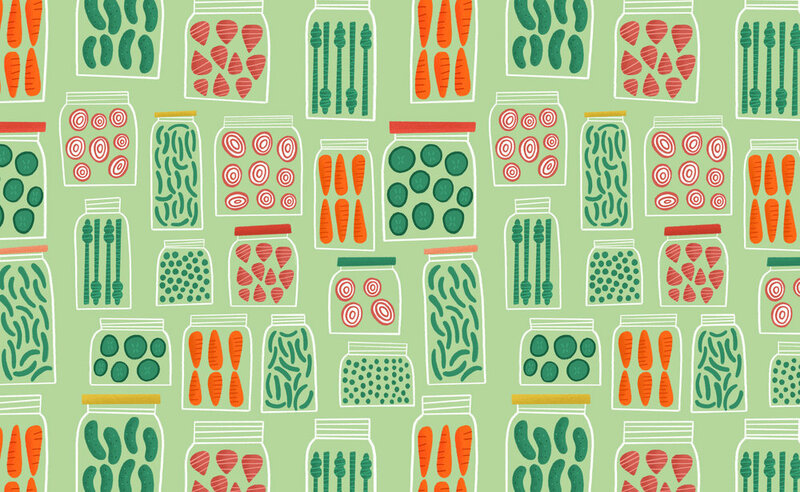 So you seem to be the pattern guru! 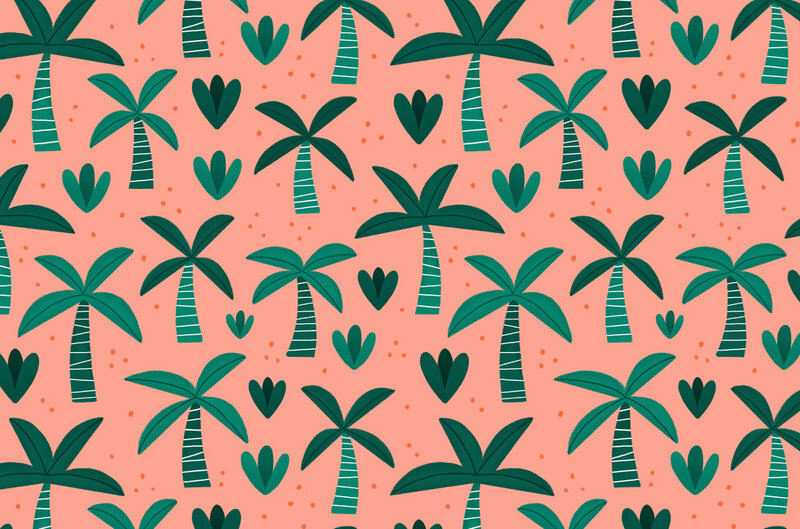 We love your palm tree repeat along with your cute bunnies, what got you started into creating patterns and how do you go about illustrating them? When I was little my grandma and mom were always quilting and crafting around me, and the house was usually filled with piles of the most beautiful fabric. As I grew up I realized I was not very good at sewing, but instead I loved looking at the different patterns and helping my mom pick out designs and colours that would go together in a quilt. Fast forward to art school and I discovered the world of surface design, where I could try my own hand at designing patterns for fabric and a myriad of other purposes. I like to create my patterns around a little story or theme, often related to a particular season or holiday. I always go back to basics and start drawing up different elements in my sketchbook, then scan everything, put it together and colour it digitally. Your work is pretty adorable; each little smiley face brings the illustration to life. You’ve worked on quite a few children’s books featuring an array of cute characters, would you say that illustrating for a younger audience is something that you enjoy the most? And do you have any plans for future books!? I enjoy working on children’s books and patterns equally, and they almost serve as a nice distraction from one another at times. Stuck on a difficult book spread? Doodle a quick pattern of dancing ice creams! Can’t decide on a cohesive colour palette? Go back to working on that book! I love how much variety it brings into my work day. Combining the two also really helps me creatively, sometimes I like to draw a bigger illustration to set the mood and then create fun patterns from it. I’d love to one day create my own book for kids focusing on LGBTQ identities. My own is a very important part of my life, and it would mean a lot to provide young people with a resource and a fun way to learn about the huge spectrum people can be on. We can’t wait to see those books on the shelves Anne! If you aren’t doodling away patterns and creating characters, what do you enjoy outside the studio? We mainly like to nap (exciting isn’t it). Napping is definitely a priority, and I have two cats that keep me pretty entertained on a daily basis. I love reading and watching scary movies, and I have a collection of crystals and other things from nature that I like to find new additions to. I'm also a big cryptozoology fan and I often read stories about Bigfoot sightings and the like, just a fun hobby, who knows if it's true or not! Anne is from the Netherlands but resides in Cleveland, Ohio. What bought you to the States Anne? Was it your time at Ringling College of Art and Design, or something more? It was Ringling! I was living in Europe when I was looking at different universities. I had set my mind on art school, now the question that remained was: which one? I settled on Ringling and lived in Florida for 4 years, and after graduation I relocated to Ohio to start my working life! The Floridian weather is something we would love to spend 4 years in! To end our little chat, what words of advice would you give your younger creative self? When I was younger (and sometimes even now) I struggled a lot with comparison to other artists, so I’d definitely tell myself that it’s cool to do your own thing! I’d also tell myself to take time to relax, since I tend to over schedule quite a bit. I guess that’s what happens when you do something you love every day!